Two puppies were stolen from the Petland location in the Boca Park area of Las Vegas early Friday morning. Petland's owner says around 6:45 a.m. the suspect smashed the front door with a skateboard and went straight for the two dogs. A male Pomeranian and female German Shepherd were taken from the location near Charleston and Rampart boulevards, according to the owner. 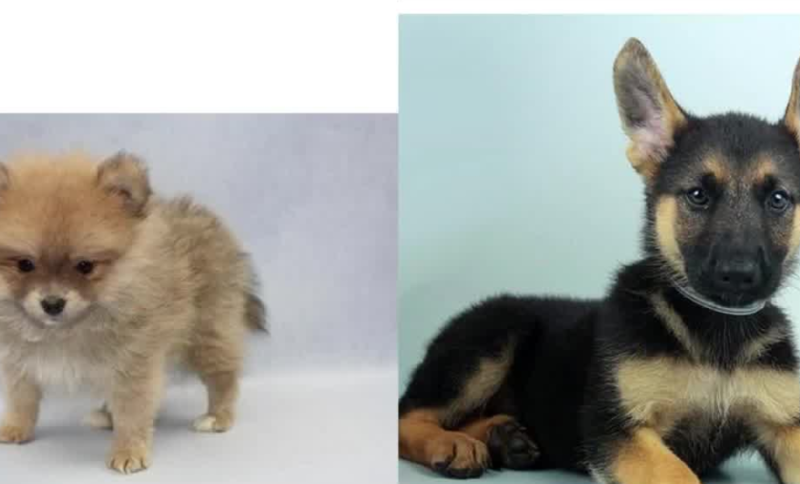 The puppies were both born in July. The owner is concerned especially for the Pomeranian puppy since it is only 2 pounds and needs proper care. Las Vegas police are investigating and released surveillance video Friday afternoon. Anyone with information is asked to call Crime Stoppers at 702-385-5555.